When a friend recommends a book to me, I almost always at least look into it. I normally don't turn them down, and when my friend Carly recommended The Fault in Our Stars by John Green to me in March, I was excited. I had heard of the novel before, and I'd even read a synopsis... but it wasn't quite enough to draw me in for some reason. Carly's suggestion pushed me over the edge, and I am so glad I decided to give the book a chance! Am I the only person out there who wonders what it would be like to be in a situation similar to the one Hazel is in? Yes? I'm just a weirdo? Okay then. But seriously, The Fault in Our Stars was BRILLIANTLY written. Green gives readers a look inside two teenage cancer patients' brains, and they are tough to forget. Not only did I not want the book to end, but I often think of Hazel and Augustus as if I knew them. No, this isn't the BEST book I've ever read... but it is way up there. 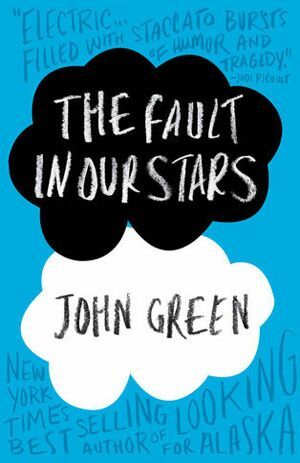 If you're going to pick a book to read this summer, make The Fault in Our Stars it. After all, according to IMDB, it is coming out as a movie sometime soon (it's in pre-production now), and I personally cannot wait! Hey Janelle! 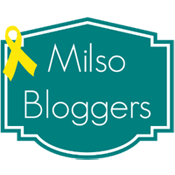 Thanks for stopping by my blog earlier this week! :) Love that you read/review books on your blog. Have you joined BookSneeze?? You can get free books from Christian publishers in exchange for reviewing them! No problem! Thanks for commenting/following back! :) I haven't joined BookSneeze, but I am going to look at them right now. Thanks for the suggestion! I love John Green! You should read some of his other stuff too. He has a way of making the characters seem like they were your friends which is why I love him. Sounds like a good book! I'll add it to my list of books I must read. Definitely. It's one of those you won't want to put down, yet you won't want to finish it all at the same time. You're definitely not the only one that wonders, that aside. I absolutely LOVED this books. I read it during Christmas break in 7 hrs. I honestly could *not* put it down. I have heard a lot of good things about this book! It is on my list of must reads this summer!